I’ve written about this before on The A.V. Club, but for a couple years in college, I was a non-showering, non-shaving, pro-anarchy anti-capitalist, and proud of it. I went to vegan potlucks and skillshares and I know all about how to brush your teeth with a stick. I also listened to a lot of lo-fi punk and epic metal. Recently, my husband asked me about bands I liked in college, and I barraged him with tracks from The Awakening, The Devil Is Electric, Milemarker, and pre-sellout Against Me!, but if I’m really being honest, the band I liked most in college during that time was Serkesoron. In 2002, when I was a junior, I was also dating a guy named Thom Wright, who was the lead singer for a local band in Athens, Ohio called Serkesoron. The group eventually disbanded—a move that was sped along by Wright’s untimely death—and one member, Nate Garnette, went on to form Skeletonwitch. 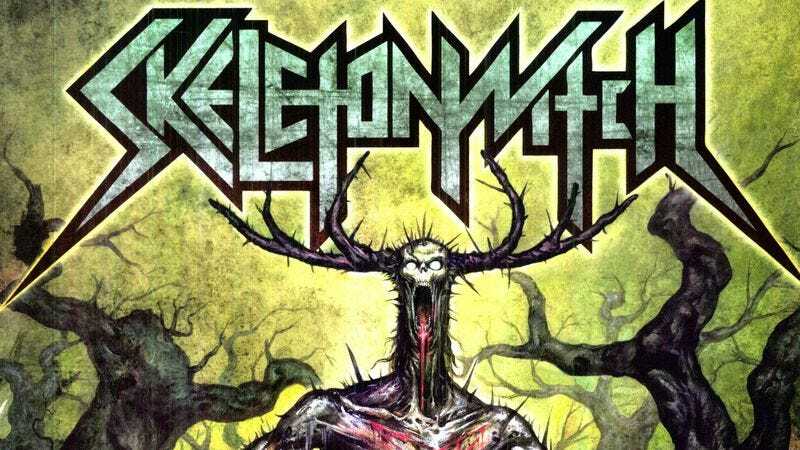 When Skeletonwitch released 2011’s Forever Abomination—which is great, by the way—they threw a bonus track on there. “Tragedy Of Days” was originally a Serkesoron track, and I can vividly remember Wright screeching the song’s title from the stage of The Union, “our bar” in Athens. The track was an instrumental, but now includes vocals from Chance Garnette and was recorded by the band as a touching tribute to Wright. “Tragedy Of Days” is fiercely unrelenting, chock full of blast beats, and almost hilariously dramatic. It’s also kind of sweet—for me, at least. It reminds me of sweaty nights of fist-pumping, finger-waggling, and $1.25 beers. I listen to it when I want to remember, and I listen to it even louder when I want to smash the state.